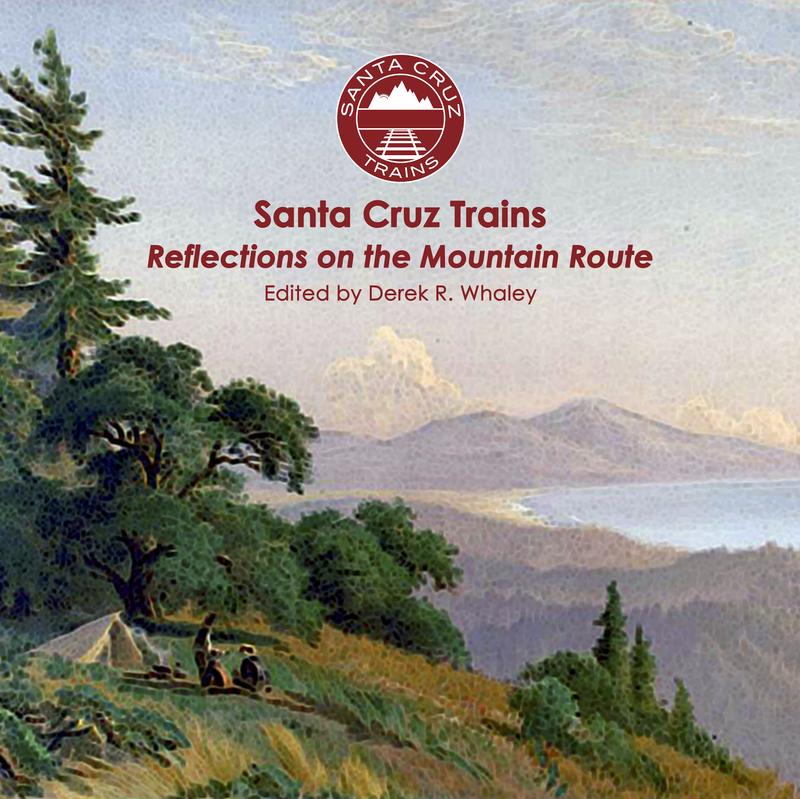 It must be stated from the start that this is not solely the story of Brackney station, but rather three stations that all appeared at or near the same site within the Brackney subdivision located to the east of California State Route 9 between Felton and Ben Lomond. The Brackney area is unique within the San Lorenzo Valley in that it is one of only two places where the state highway meanders onto the east bank of the San Lorenzo River (the other locale is Ben Lomond). But the river at Brackney is also unusual in that it veers dramatically to the west for a brief moment, creating a high plateau at the foot of the adjacent hill. Steep hillsides fall to the river on either side of this plateau, confining it and keeping it separate from any other place in the valley. The Felton & Pescadero Railroad was not afraid of the Brackney area when it first graded through here in 1884, but it should have been. The San Lorenzo Valley Flume had wisely built through the center of the plateau. This still required high bridges over the river, but the flume did not also have to contend with landslides. The railroad, undoubtedly seeking to avoid the construction of expensive bridges, took a more dangerous course, drilling and mining a right-of-way along the steep eastern cliffs above the river, cliffs that were proven to be made of sandstone rather than granite. Several graders died while cutting through this section and it remained the most problematic portion of the route to Boulder Creek throughout its fifty years. Even today, this portion of the former right-of-way shows signs of old and recent slides and the roadbed has risen dramatically as a result. When the grading crews first entered this section, they passed through the lands of Emphrey Jones Rubottom, who had purchased the lands in 1878 from his stepfather, Almus L. Rountree. It is not entirely clear what Rubottom and his family used the land for, although it seems certain that some of it was used for farming since Rubottom filed several patents for farming equipment during this time. 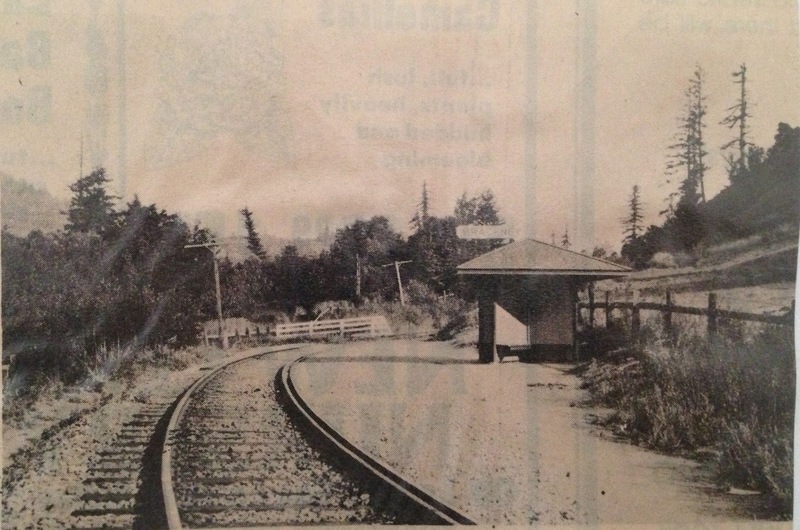 Whether Rubottom was granted an unregistered train stop by the Felton & Pescadero Railroad is unknown, and the Southern Pacific Railroad only registered such a station in 1890. It was around this time—and the station is probably a result of this—that Rubottom and his half-brother John Almus Rountree began harvesting tan oak and timber on their two properties, which collectively occupied the entire plateau. How long the operation lasted is unknown, but the stop did appear briefly in 1907 on railroad timetables suggesting it was still active at that time. However, when the tracks were standard-gauged early the next year, Rubottom's stop disappeared. At the time Rubottom was removed from station books, another stop appeared named Pettis. Employee timetables appear to have mistakenly situated this at the site of Riverside because it subsequently appeared further to the north in the Brackney area. Pettis was only ever listed as an Additional Stop and nothing is known about it. It had no spur or siding and must have simply been a flag-stop for locals in the Brackney area. Even the name—Pettis—is of unknown origin although it likely relates to a local property owner, possibly a family that briefly purchased Rubottom's property. The history of the area becomes much more clear from this point forward. Alonzo L. Brackney had lived in Felton since 1889, having moved from Pennsylvania originally. He owned land immediately north of Rubottom's tract and when Rubottom died in 1913, Brackney purchased the rest of the plateau from his heirs. 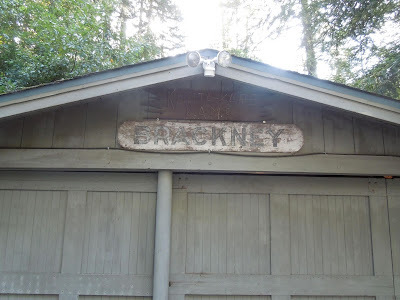 Like so many other aspiring entrepreneurs in the Santa Cruz Mountains, Brackney hoped to develop a small resort on his property and it was ideally situated and appropriately rustic for such a purpose. He named the resort Camp Brackney and installed cottages and tent cabins throughout the property. 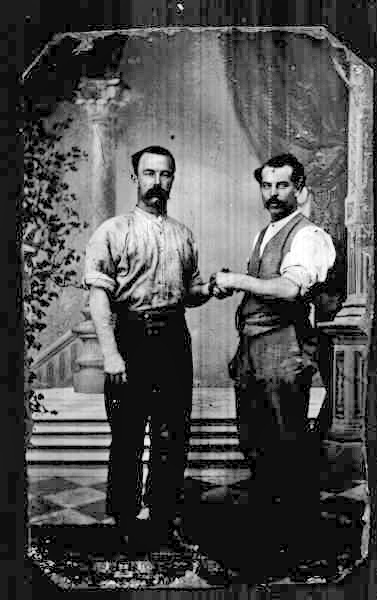 The proprietors of the Hotel Rowardennan in Ben Lomond managed the resort. At Brackney, Southern Pacific kept things simple. With the tracks now upgraded and the former spur removed, only a small shelter was needed at Brackney—something that would protect people waiting to board the train but not require anything more. The small cross-shaped shelter supported three sets of benches beneath a roof that had "Brackney" emblazoned on a sign atop it, while passengers would have to use a flag to wave down a passing train. An identical-styled structure was used at Newell Junction, further to the north, and at Asilomar on the Monterey Branch. Because of the sharp turn on the approach through Brackney, a check rail was installed to avoid the wheels from slipping. Brackney never proved itself as a successful resort and, from the beginning, Brackney began parceling out his property for use as a seasonal homes. Out of the way along a route declining in use and popularity, Brackney fully embraced its status as a housing subdivision in the late 1920s. Brackney himself had hoped to start an entirely new small township on his land, which he called "San Lorenzo," but the new homeowners continued on with just Brackney. While a few businesses did spring up both beside the railroad tracks and on either side of Highway 9, no formal township formed on the plateau. The station remained on timetables until the line shut down in January 1934, although all passenger service ceased at the end of 1930. The remnant right-of-way was purchased by the City of Santa Cruz Water Department probably in the late 1950s as a part of their Newell Creek reservoir project and it continues to be used as a service road today. The site of Brackney is near the top of Brackney Road off State Route 9. As the road turns to the south, visitors can see a chain-linked gate to the left. This marks the old right-of-way north to Glen Arbor. The station site is just down the road to the right and is barely visible as a slight pullout on the east side of the road. To the south, the right-of-way continues down the road a short distance before turned down a Santa Cruz Water Department access road that marks the former railroad right-of-way. Throughout this area, the right-of-way survives and can be generally hiked upon, with caution, although it is strictly-speaking water district land. 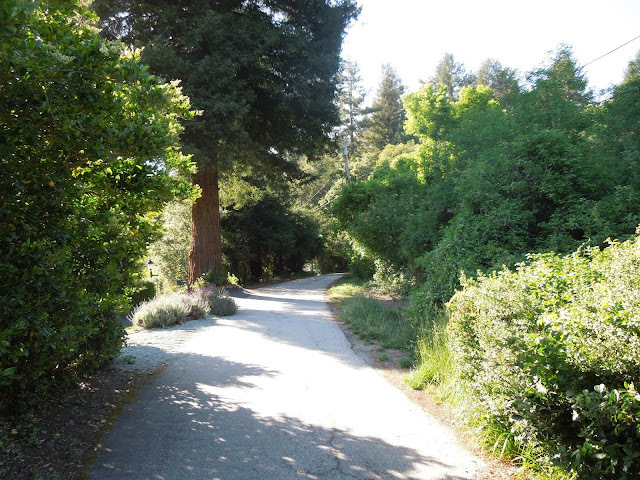 To the south, the former route wraps around the San Lorenzo River, passing through a cut, before ending at the back gate of the Rose Acres Tree Farm. To the north, the road briefly parallels Brackney Road before passing through two gates and on around the San Lorenzo River, ultimately ending at the fence of a home on Fremont Avenue in Glen Arbor. Further exploration is impossible in either direction without trespassing on private property. The station sign still survives atop the garage of a nearby home. Clark, Donald Thomas. 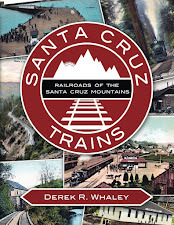 Santa Cruz County Place Names: A Geographic Dictionary. Second edition. Scotts Valley, CA: Kestrel Press, 2008. Rountree, Edward T. "A Commentary on the book 'South Pacific Coast' by Bruce A. MacGregor". Santa Cruz, CA: University Library, 1974. "Will Glass / E J Rubottom Photo", Glass Family Highlights. Posted March 1, 2008. Accessed December 13, 2018.
the owner showed him a much smaller wooden sign and stated it was for a railroad stop that used to be there. I think the store is long gone but I've wondered if that sign was donated to a local museum. Of course, there is still Brackney Road in the area. Much later in 1983 my father was living in Turlock, CA and was contacted by a man named Richard Burr Brackney (born 1904) who was Alonzo's older son. Richard was a cowboy, ranchhand and owned a dairy at one time. He told us "Brackney" near Santa Cruz, CA, was named after an area where Alonzo rented out cabins to people who vacationed in them. Richard had a brother named Edward (born 1906) who had sons and there are additional descendants living today. Alonzo Lytle Brackney was a descendant of John Brackney of Butler County, Pennsylvania who had seven sons and six daughters. There is also a small town of Brackney, Pennsylvania (Zip Code: 18812) near the New York state line in Susquehanna County not too far from Binghamton, New York. Sorry I never got back to you. I've never seen the Brackney station sign. It was not donated to the SLV Museum or the Santa Cruz Museum of Art & History, so where it ended up is beyond me. It's good to learn some of this additional information about Brackney, though. This area was frequented by many tourists and little cottage cities appeared everywhere around the turn of the century. It seems Brackney evolved from a logging stop to a tourist resort like Brookdale, which is awesome. If you have any contact information for living relatives of Alonzo, I'd like to see if they have any photographs. Thanks! Alonzo was my great grandfather, Ed was my grandfather. In the late 80's, my dad took Ed and Richard on a road trip back to Brackney and the surrounding areas; they had a great time remembering and revisiting the areas where they spent their formative years. Hey Bob! Great to hear from another Brackney relative. You don't happen to have any photographs of this property or station do you? I'm always looking for more material for my book and/or this website. Since it is only caught in a photograph at one other location, I'll repeat what I mentioned on the Inspiration Point page. A 'guard' rail is set narrower and in locations where once the wheels hit the dirt the damage caused by a 'jackknife' would be significant; this would be on bridges and ledges, but not tunnels, as tie replacement inside a tunnel would be nearly impossible. A 'guide' rail is used in switches to keep wheels from accidentally taking the wrong path. The photo above is of a 'check' rail, which was used in the early days to keep the drivers (those large wheels that power the train) on steam locomotives from climbing and slipping on sharp curves. Steam locomotives had ridged frames with no swivel (unless 'articulated'), but maybe there was just enough side-to-side play that a check rail could pull the inside wheel and thus keep the outside wheel from losing traction on the outside rail. Speed would not be a consideration, and with the cattle guards I've seen along the way, I wouldn't think that the trains were allowed to go too fast (but I'm just taking a guess). I am interested in the map at the top of this page that you credit to Duncan Nanney. I am currently recreating the broad gauge line through the Santa Cruz Mountains using the Trainz simulator program with a map generated using the TransDem application which layered a google topographical map with USGS elevation data for this area. Your site has been very helpful in helping accurately determine the precise locations of the right of way. It would help me if I could see the approximate location of the tracks in-between the locations you depict. It's very interesting seeing this area in raw elevation data 3D map without buildings or trees. I have been able to plot a reasonable right of way but I have been struggling with the curve at Brackney, trying to maintain the grade and a reasonable curve. Noel, send me an email at whaleyland@gmail.com and I will send you the Google Earth .kml file for my Google Map (https://www.google.com/maps/d/edit?mid=zapvKjr4Ihy0.ky27gJS_NJlM). I think you'll find it more accurate than Duncan's at this point.